Beautiful Church Buildings: Second Presbyterian Church - Richmond, Virginia U.S.A.
Second Presbyterian Church - Richmond, Virginia U.S.A. This church is personal to me. It's the first church building I ever remember attending. Many people have walked through the doors of this church building and felt at home here. 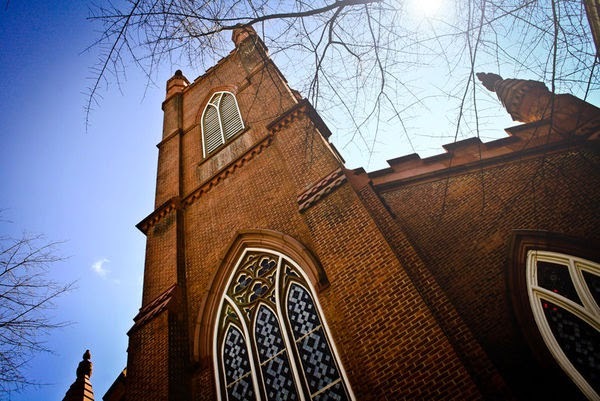 Not only is this church beautiful, but it has an amazing history! Please tell me about a favorite church building of yours. Leave a comment here or on my facebook page - facebook.com/MelanieKaris - and I will post about it.